In Martin's Lane, Cannon Street, there at present remains one of the old wine shades. Wine is there drawn from the wood. It is quite in the old style, and well worth a visit by those wishing for a glass of good wine, or interested in seeing what the places their fathers and grandfathers frequented to enjoy their bottle of port, were like. 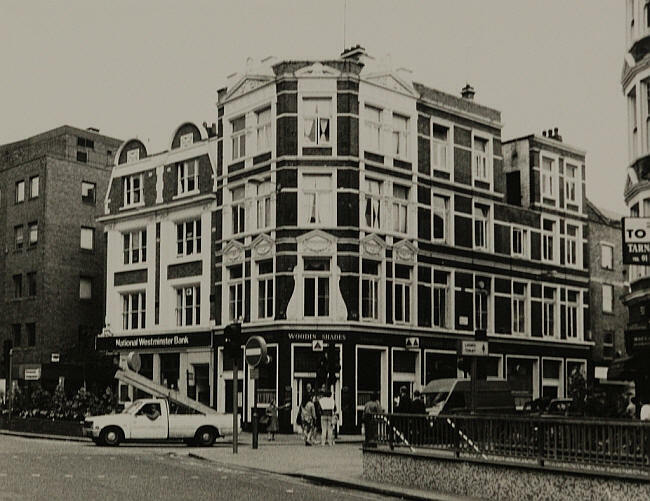 There used to be a very well-known " shades," known as " Woodin's," close to the steamboat piers of the Old Swan, and Dyers' Hall, at the rear of Fishmongers' Hall. A large trade used to be carried on here in supplying wine to those engaged in the City but residing out of town, who liked a good glass of wine, but could not afford to have it in from wine merchants by the dozen. 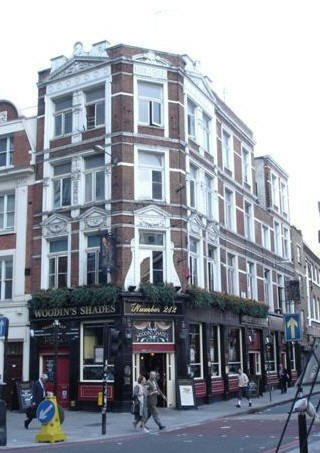 A man would get his imperial pint or quart of wine at Woodin's drawn from the wood, and take it home. In those days grocers did not supply, what they are pleased to call wine, in single bottles. A listing of historical public houses, Taverns, Inns, Beer Houses and Hotels in Bishopsgate - St Botolphs, London.